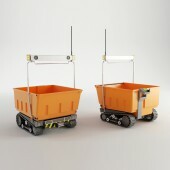 Inspired by the massive amount of human power used in the agriculture operations, the concept aims to automatize the process of collection and carrying of agricultural produce. 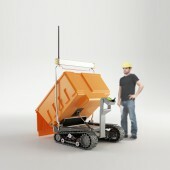 Eco Barrow robot electric vehicle, designed for agricultural industry, is a safe, clean, powerful, unmanned and truly embracing the ‘utility vehicle’ concept. 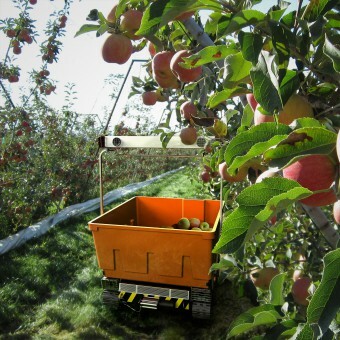 With a constant focus on improving electrical drive power, simplifying construction and reducing vehicle weight while providing higher load capacities, Eco Barrow is committed in developing agricultural industry that meet farmers’ demands for low fuel consumption, high cost-effectiveness and environmentally friendly operation. With its power unit the platform differs from its equivalents; thanks to its design, interfering and carrying out maintenance is easy. With superior power, an unbeatable control system and front axle articulation, vehicle remains grounded and stable even the most challenging terrain. Therefore, having the dimensions of 43 inch width and 39 inch height, it can be carried in pick-up haulage. The project designed in November 2014 in Ankara. 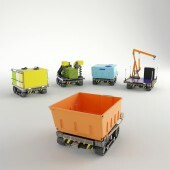 Eco Barrow, an unmanned 2 track or 4 wheel drive robotic modular platform is capable for the most demanding agricultural tasks; single platform combined with different modules offers 5 different types of vehicle; agricultural spraying, hole digger, dump carrier vehicle, liquid tank and lifting jack. Because of the power required for spraying and digging, for those tasks platforms work with gasoline engine are used. The ones working with electric motors, can carry high capacities as well; 1 meter cubes bearing capacity for liquid tank and carrier vehicle and 1,5 tone for lifting jack. Molded Fiberglass, injected ABS, welded and cast steel are used as main materials. Main research was carried out in the process of motor mechanism using a hub electric motor and driving system. An innovative track equipment is developed for optimized power and performance. For all tasks, complex autonomous systems can be programmed with compatible software or controlled by the operator. Since it contributes to occupational health and safety, software-controlled extremely modular platforms can also perform mining, military and defense tasks and be used in factories to provide an efficient link between the counter and the stockyard in terminals. Eco Barrow Unmanned Electric Vehicle by Hakan Gürsu is a Nominee in Agriculture, Horticulture and Fisheries Design Category. Eco Barrow Unmanned Electric Vehicle by Hakan Gürsu is Winner in Agriculture, Horticulture and Fisheries Design Category, 2014 - 2015. Did you like Hakan Gürsu's Agriculture Design? You will most likely enjoy other award winning agriculture designs as well. Click here to view more Award Winning Agriculture Designs. 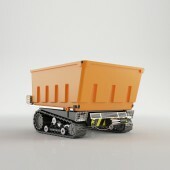 Did you like Eco Barrow Unmanned Electric Vehicle? 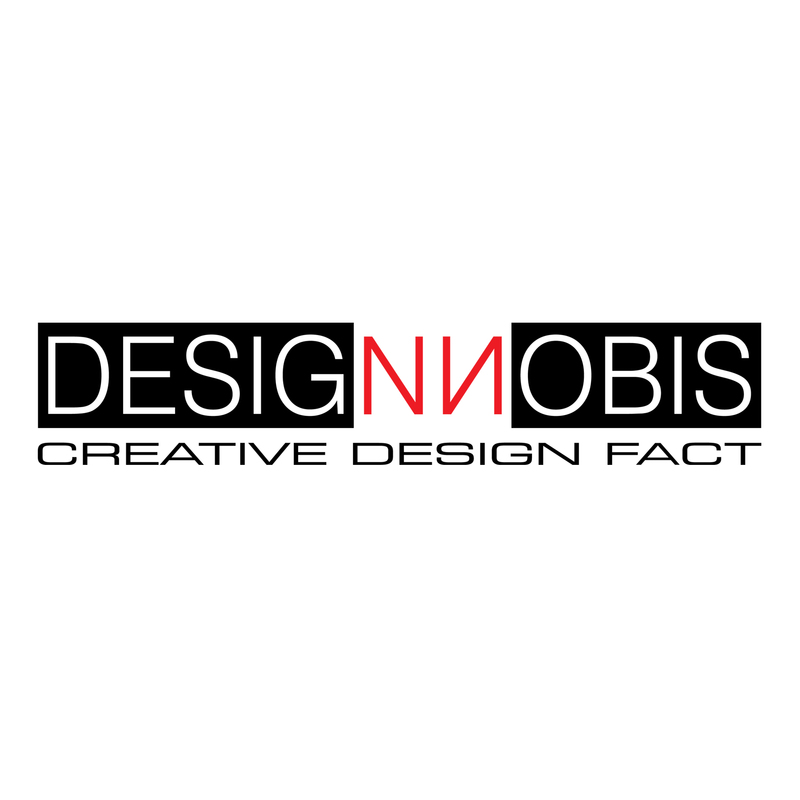 Help us create a global awareness for good agriculture design worldwide. Show your support for Hakan Gürsu, the creator of great agriculture design by gifting them a nomination ticket so that we could promote more of their great agriculture designs.